The Fralin Hum-Cancelling Steel Poled Jazzmaster gives you a Hum-Cancelling P-90 tone for your Jazzmaster. Similar to our Steel-Poled Jazzmaster Pickup: a thick P-90 sound in a Jazzmaster cover, with no hum. Thick, beefy, and harmonically rich. P90 Sound. in a jazzmaster. with no hum. 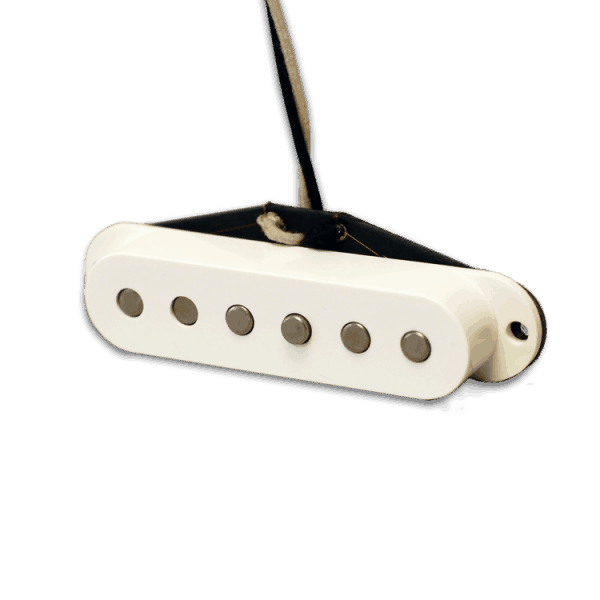 The Fralin Hum-Cancelling Steel Pole Jazzmaster set of pickups is perfect for anyone looking for a P-90 Sound for their Jazzmaster, but hates the hum produced by single coils. 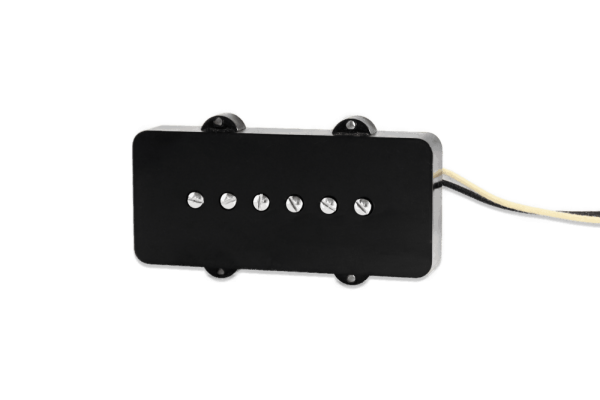 These pickups are built with the same specifications as our Fralin Steel Pole Jazzmaster Pickups, but with a 2-coil design for no added hum. The Hum-Cancelling Jazzmaster leans more to the tone of a P-90 than a single-coil, but because of its 2-coil design, is thicker and darker. These pickups are wound with 43-gauge wire that blends the P-90 and single-coil sound perfectly. The Hum-Cancelling Steel-Poled Jazzmaster Pickups are beefier than the Steel-Pole Jazzmaster Pickups with an even thicker sonic footprint. Our Stock Set is a Stock bridge and -10% Neck. Our Stock Set is a Stock bridge and -10% Neck. When playing clean, these pickups sound large and rich, especially in the lows and highs. 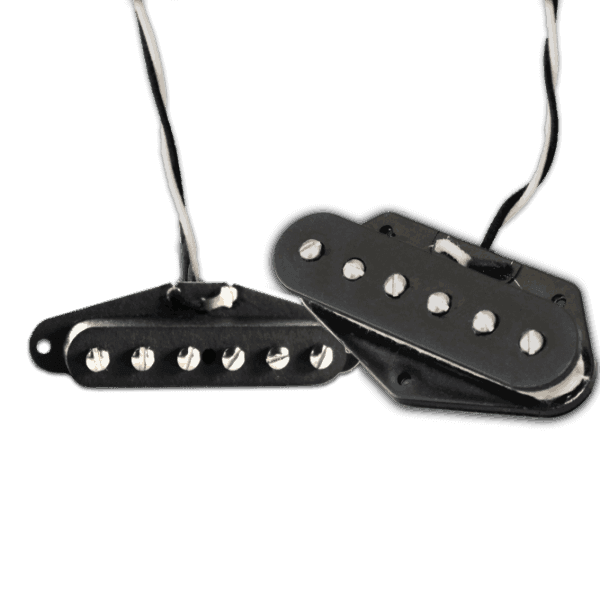 Closer to the sound of a P-90, Hum-Cancelling Steel Pole Jazzmaster Pickups will give you a dark, thick tone that is perfect for balancing out a bright-sounding guitar, or for those looking for more growl in their tone. Hum-Cancelling Steel Pole Jazzmasters sound thicker in the midrange with more of a “chainsaw” grind, as opposed to a smoother AlNiCo distortion. What’s the tonal difference between this and your Hum-Cancelling Jazzmaster? The Hum-Cancelling Steel Pole Jazzmaster is a Hum-Cancelling P90 in a Jazzmaster cover. They are totally different pickup designs and tones. 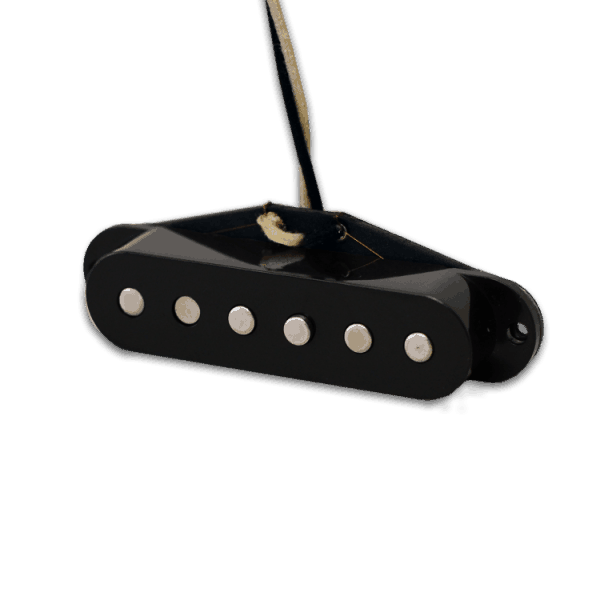 This pickup will have a much larger midrange, harder and more aggressive highs, and much more output. What’s the String Spacing? 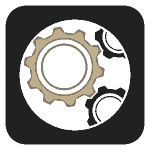 52mm. Wiring Diagrams? We don’t offer wiring diagrams for Jazzmaster guitars. Sorry about that. You can find them all over the internet. White is Hot, Black and Shield are ground. You might need to rout out a bit of wood to make these pickups fit. Some customers were required to rout about 1/16″ – 1/8″ from their pickup cavities. On American Vintage Reissue Guitars (AVRI), you’ll need to lift the Copper Plate, rout some of the wood (1/8″ – 1/4″), and replace the copper plate. These pickups will “Meter Down”. They will match most everything that we make. 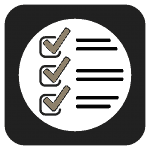 If buying a single, request a “2-Conductor”, where we separate the ground from the coil, allowing you to reverse the coil if need be. I got a pair for a custom Jazzmaster build. The neck was stock and the neck +5. Because the pickups have more height than standard Fender pickups, I did have to do a little bit of routing of the pickup cavities – about 1/8″ for the neck, 1/16″ for the bridge. 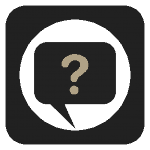 (The Fralin folks do mention that this mod may be necessary on the product spec page… it’s not difficult. I used a B&D RTX with a router bit on a StewMac Precision Router base and just did it in a few passes). The pickups sound fantastic! Clear with a nice full tone but distinct highs. I am very happy with the purchase. I recently purchased these pickups for my jazzmaster, i can’t say enough good things about them, they sound great, very dynamic and super quiet when stacking gain pedals, especially fuzz pedals. I totally recommend these pickups.